On February 22, 2018 – Every Smile Counts Day – more than 25 dental industry companies raised more than $164,000 benefiting Dental Lifeline Network (DLN). 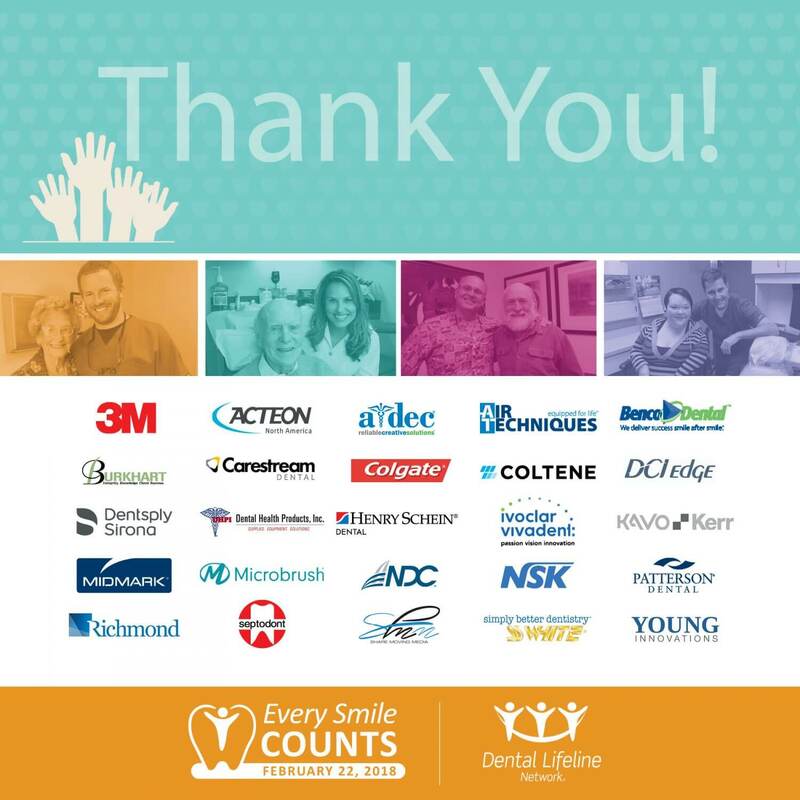 We thank each and every Every Smile Counts Day supporter, including dentist’s offices who made purchases from participating companies, for helping those who desperately need comprehensive, and often, life-saving dental treatment. With every dollar raised nearly $9 in care is generated, meaning the contributions of companies have generated over $1.4 million in treatment! Millions of people throughout the United States with disabilities or who are elderly or medically fragile don’t have the ability to pay for vital dental treatment. Through the Donated Dental Services (DDS) program, volunteers provide care for people who desperately need dental treatment. Interested in participating in Every Smile Counts Day 2019? Keep in touch by signing up for our newsletter or following DLN on social media.